One of the things I’ve enjoyed doing over the last 18 years or so is adding little touches to Sergei my SKS. You can read the full story here. Sadly, over the last year I’ve had some problems with the magazines that have led me to conclude that they are not reliable enough to risk my life on. Since I don’t own any gun that wouldn’t be called on to defend my family if the time came, I have no choice but to undo 18 years of upgrades. Fortunately, this wasn’t hard. Starting with the rifle as configured, with folding stock and detachable magazines . . . 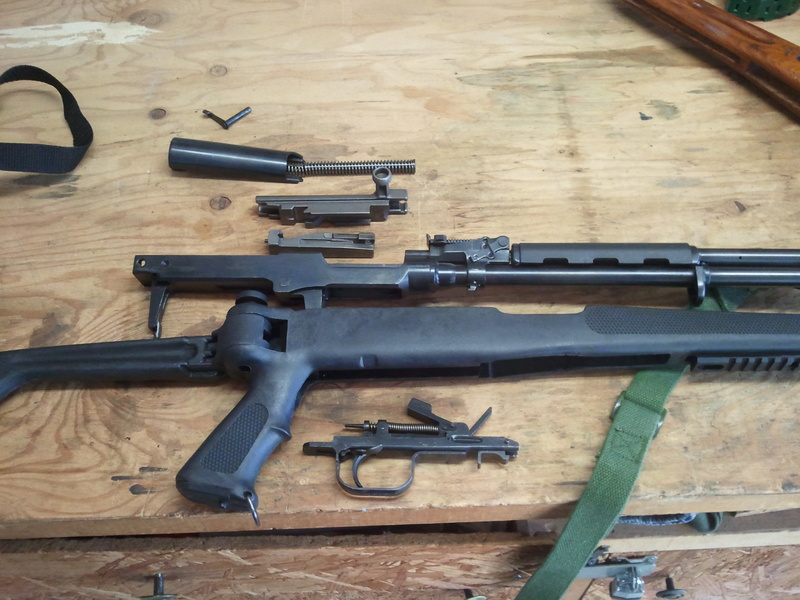 I disassembled the gun completely, except for the gas tube hand guard. 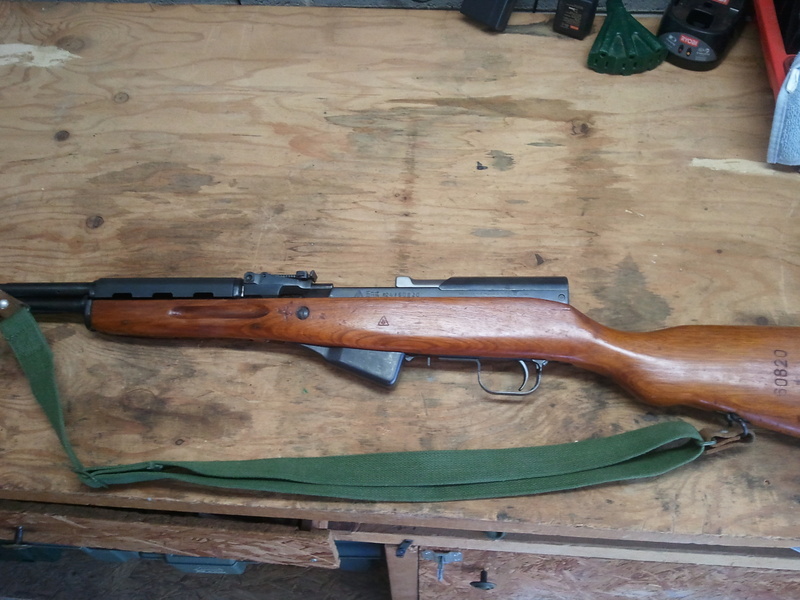 After taking the opportunity to clean and lubricate, I then reassembled with the old wooden stock and the fixed 10-round magazine. I also re-attached the sling and adjusted it for a good fit. I then spent 15 minutes loading stripper clips and getting them ready to go. Now, I have an old fashioned, great shooting SKS. I’ll write more later about my problems with the plastic 30-round detachable magazines, but suffice it to say that the top of the magazines split at the back, leading to failures to feed. Fortunately, the PMAGs I recently bought for my AR project are all one piece at the top and not subject to this mode of failure – a much better design. 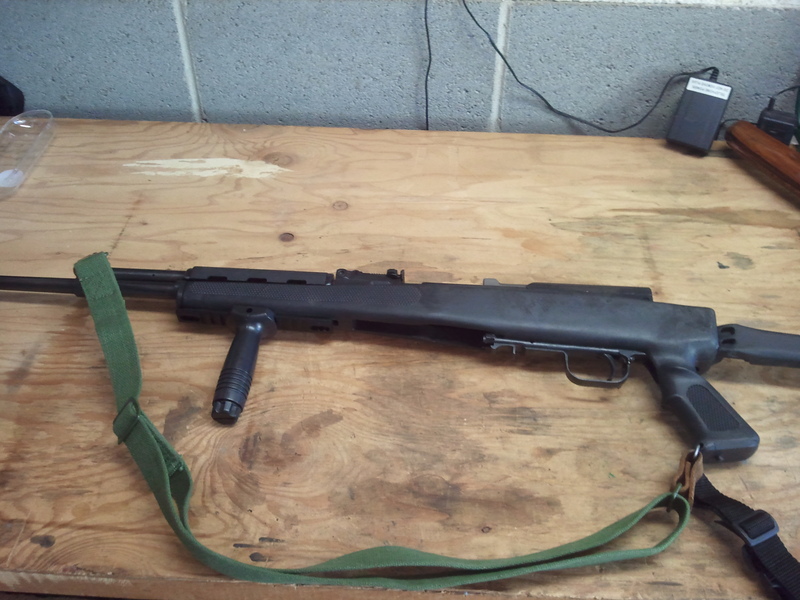 I modified my Yugo SKS with a synthetic monte carlo stock, scope mount with a 3-9×40 scope, shell deflector, bipod and flash hider plus removed the internal magazine and replaced it with a detachable Tapco 20 round duckbill magazine. This particular magazine has worked flawlessly and I would highly recommend it for the SKS configuration described here. If only the Tapco mags could be had for less than what I first paid for the gun. …. Before this whole assault on our 2nd amendment rights I was getting those Tapco mags on sale for about $17.00 each. Of course now they are almost impossible to find as people having been buying them up as soon as they hit the store shelves.